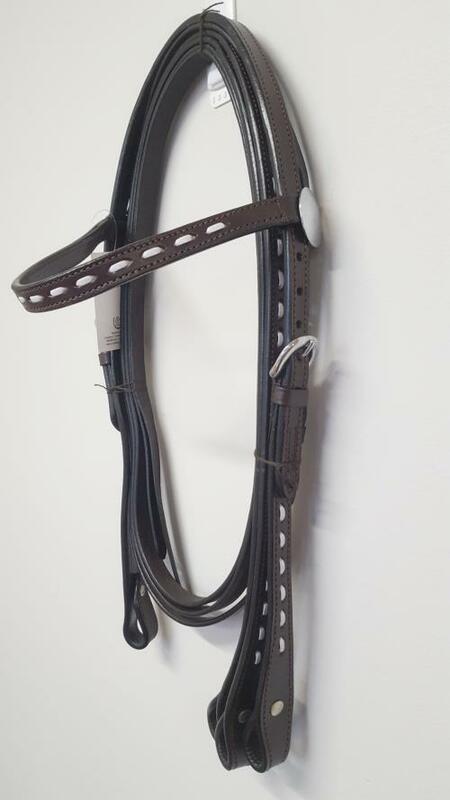 Leather western bridle with split reins, buckstitching and chrome conchos. 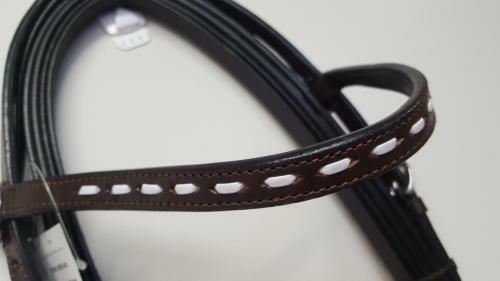 Stunning stand-out white buckstitching compliments this leather western bridle. 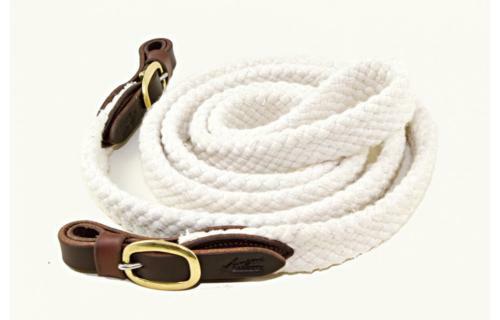 Complete with matching split reins.